“You’re not from around here are you?” James asked me as we stood outside of the Towne Lake Mellow Mushroom looking for the remnants of a transformer explosion we just heard across the street. I was shrouded in the stench of a large Magical Mystery Tour I had just bussed off of table 24 wearing my signature Wranglers and boots, and James was sporting his usual once-rocker-turned-professional jeans and white linen shirt, complete with goatee, bald head, tattoos, and cloud of cigar smoke that rivaled the lingering aroma of the pizza joint. The answer was no, I am definitely not from around here – and I don’t think you are either. James’ interview process goes kind of like this – come over to the office, listen to everything he has to tell you about small business, SEO, social media, link building, WordPress, and whatever other ramblings he throws in there. If you can stand the heat – and don’t run away screaming – you’re hired. After the initial meeting with James and Ashley, I left completely confused about the difference between black hat, grey hat, white hat, follow, no-follow links, and wondering what the heck is Google+. My phone was loaded down with a whole host of new apps and gadgets, and I started reading. That’s when I fell in love. Joining the TrustWorkz® team, at least at that point in time, was pretty much sink or swim, and I loved it. Ashley gave me the low down on how to write a blog post on WordPress, basic SEO knowledge, and access to my first 3 clients social media networks and I was off and running. 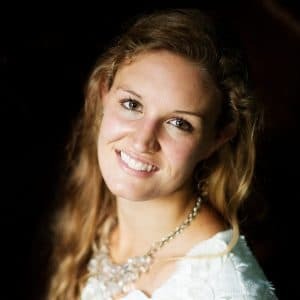 I picked up easily on my client’s personalities, and enjoyed finding content that connected to their business in a new way that both captured the spirit of their company and intrigued potential clients on Facebook, Google+, or Twitter. Being at WebOp® at TrustWorkz® is nothing like any job I’ve ever had. My background is in printing, with a Graphic Communications degree from Clemson University, so I had the skills necessary for multitasking and attention to detail, but the relationships with my clients are what really make this job rewarding everyday. As a WebOp®, I am able to see the results that my efforts are making for my clients – comments on Facebook, increased search engine rankings, RTs – and it all adds up to more customers walking in the door for my clients. I love hearing that they had a new customer call them today that found them on the web. What we do works and the people here care about our client’s success. 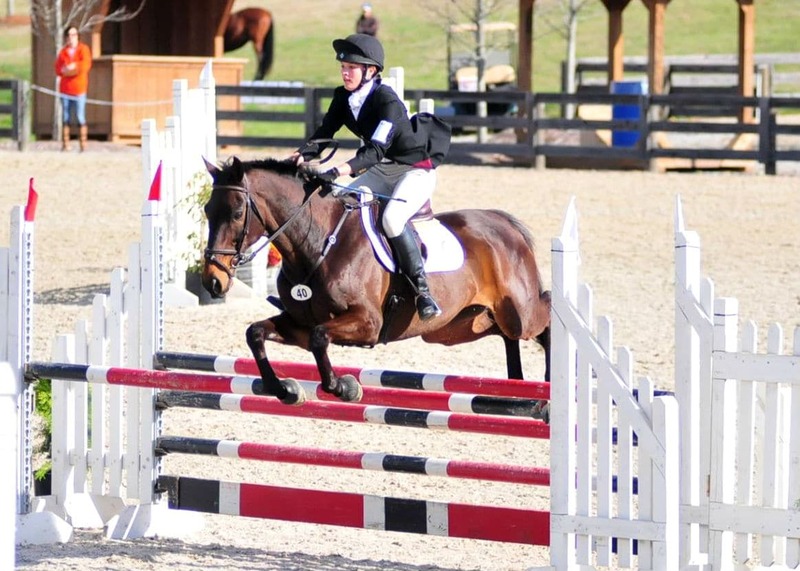 Lauren competing in the show jumping phase of her other passion: Eventing. As a small business owner myself, running a letterpress printing company called Post Script Press and honing my photography skills through Southern Filly Photography, I connect with my clients. I understand that every dollar counts and that they want their customers to know who they are and that they offer quality products and services. My clients understand the importance of having a great website, blog, and social media personality, but don’t have the time or knowledge to do it to its full capacity. So, that is my job as their WebOp®. To connect with potential customers, to showcase their products or services that are produced out of their blood, sweat, tears, and countless hours of stress, and to capture the personality and expertise of their business and broadcast it across the web in a way that makes them a resource for information and a likeable brand. Combining the “Google-guru” technical knowledge of how, what, and when with the intrinsic value of having an actual person – not a widget or program – produce this content and make these connections is what sets TrustWorkz® apart from the rest. We answer our phones night or day, even when we try not to. We go above and beyond “the contract” to answer all of our customer’s questions and meet as much of their need as possible. At TrustWorkz®, this isn’t just business, it’s personal. My clients are more than just a client – they are my friends, my resource, their company is my company. I take personal responsibility in their successes and failures and do everything that I can to exceed their expectations, in both TrustWorkz® as a company, and me as their personal web-techie-design-go-to-assistant. I am thankful that as a young professional, virtually straight out of college, I have a job that isn’t a job, because I love what I do, and I love the people I get to work with everyday. Hi, I’m Lauren Turner, and I’m a TrustWorkz® WebOp®.